There are other cheeses available including Manteca. 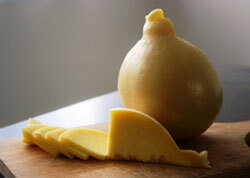 Provolone, Burrata and Fagottino are some of the rare Italian cheeses we make. With their special texture and taste, they are sure to delight the most sophisticated of tastebuds!